I've not really shown a pic of these before but I had to make some last night for a couple of orders and took some pics! These are luxury gently fizzing bath melts made with lashings of Cocoa & Shea butters; pop one in a warm bath, lie back and enjoy their skin loving goodness! The top ones are Oriental Opium and the bottom ones Japanese Plum. 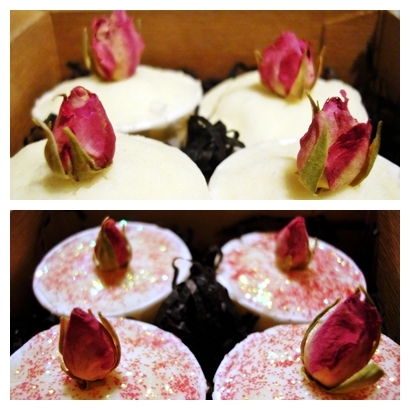 Available from http://www.iamhandmade.com/ourshop/prod_1732590-Bath-Tub-Bon-Bons.html ... these are all made fresh for every order! These BonBons look delicious.And your soaps look amazing. And I wanted to thank you for your advice on my gelling with the honey soap on my blog. Hi Celine, Thank you for your kind advice on my blog, going to try that!